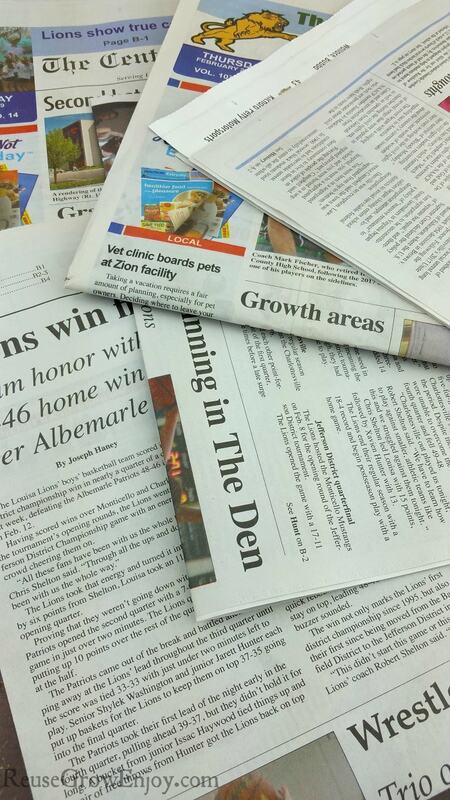 Enjoy reading the paper but hate having to toss them out? 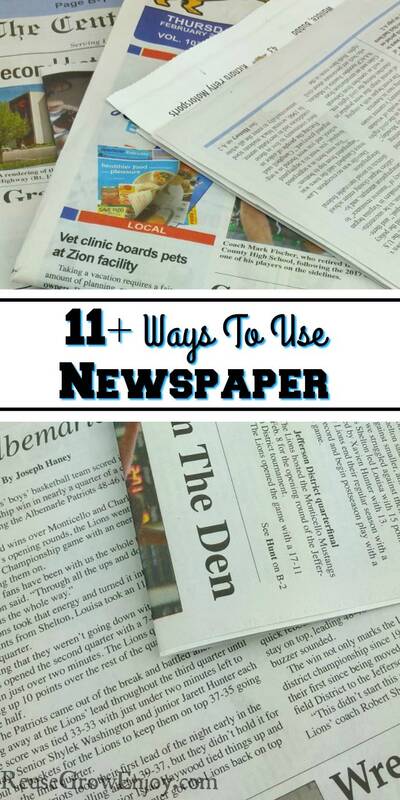 Check out these 11+ Ways To Use Newspaper After You Are Done Reading! I am sure there are at least a few you have not thought of. Over the years I have gotten creative at reusing items even something as simple as a newspaper. Not sure if it was my interest in finding ways to reuse items or just the fact I worked for a newspaper for years and always had tons of papers around. Either way, I have compiled eleven ideas together to help you find ways to use newspaper when you are done reading them. I am sure there is at least one way from these ideas for every household to be able to reuse newspapers. 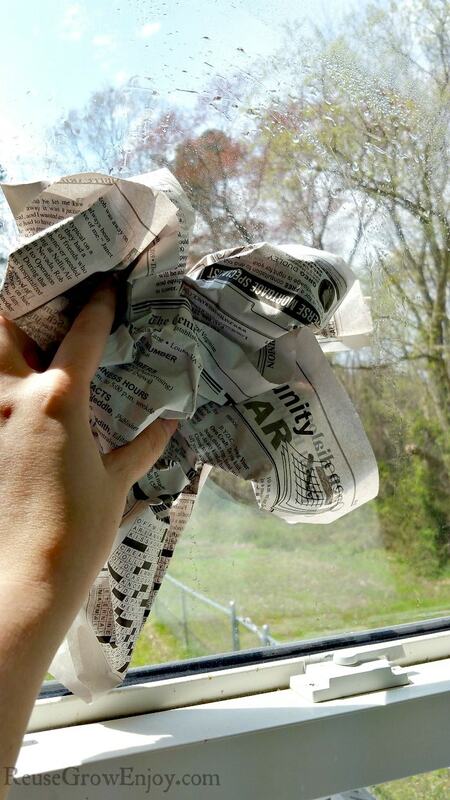 A great way to use newspaper when you are done with it is to save it for paper mache projects. This to could be to make some art or to make something like a pinata. Simply make some type of shape with either wire or balloons. Then rip the newspaper into strips. Dip the strips into a paper mache paste mixture. You can also use a mix of flour and water if you do not want to buy paper mache mix. Simply mix it to one part water to one part flour. Mix well so there are no lumps and let sit for about ten minutes to thicken before using then stir again. After dipping the paper strips, remove excess paste and then layer the strips on your frame. Allow it to fully dry. Then you can paint or cover how you want. If using a balloon, when it is totally dry, you can poke a hole in the balloon to remove it and have an empty paper mache shell. 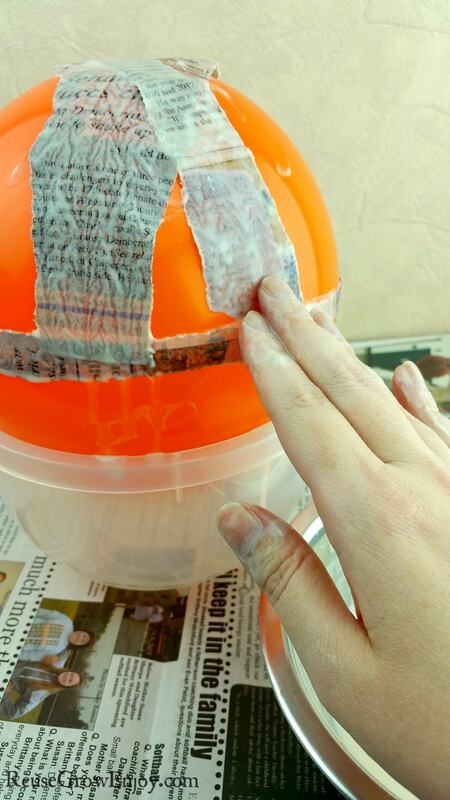 To see a full step by step with pictures, check out my post for a DIY Paper Mache Bowl. Just get a new puppy? Use newspaper to paper train them if they will be an indoor pet. Simply lay a few layers on the floor close to where the puppy will be most. Then encourage them to visit it to take care of business. It can sometimes leak through, so you may want to put it on a potty training tray to avoid the floor from getting wet. If you have pets that have cages or crates, you can lay some newspaper in them to line the bottom for any mishaps or spills. You can either lay full sheets of paper flat down to line the cage or you could shred it. You can shred by hand or run it through a paper shredder. If you are a crafter or just like to do DIY products at home, chances are you need to protect your table or workspace from time to time. No need to buy table cloths or drop cloths. Simply lay a few sheets of newspaper down before you start. Depending on how messy the job is, I sometimes can get a few projects out of a sheet before having to replace it. 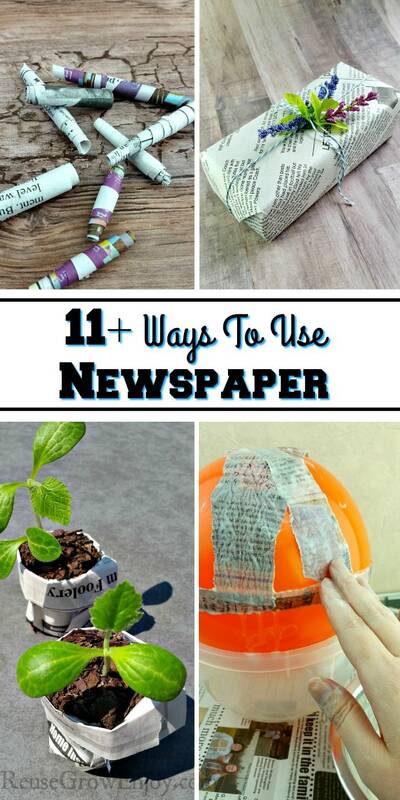 This is such a great way to use newspaper. 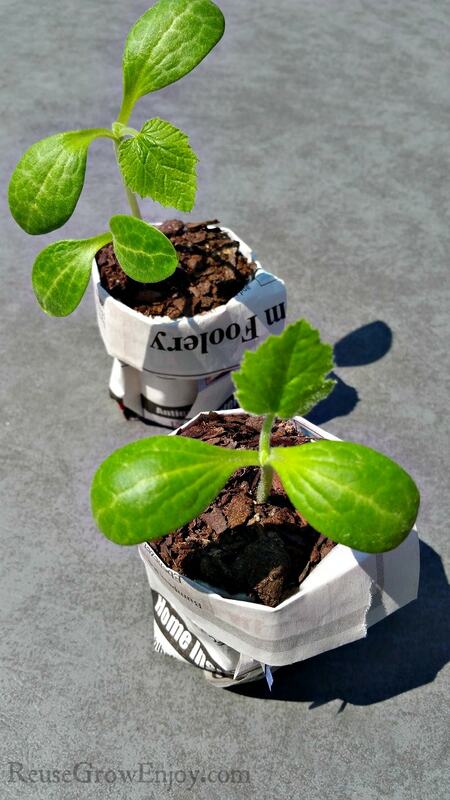 You can roll them to make little seed starting pots. Simply fold it over a few times to make it thicker. Then wrap it around a small can or jar so that it overlaps itself. Then carefully fold the edge down a few times and tuck the bottom inside. Fill with dirt and put seeds inside. 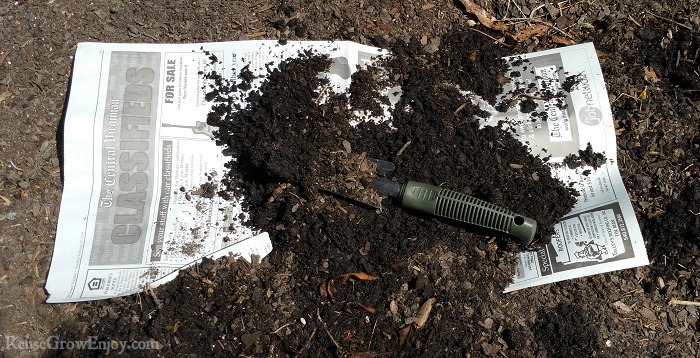 When ready to plant, you can put the whole thing in the ground as the paper will decompose. They do also sell a handy little gadget that helps to speed up the process if you will be making a bunch. Whether you have to ship something or just need to move, newspaper is great packing material. It will help to cushion glass or delicate items so they do not break. You can either just wrap the item in newspaper and making sure to also tuck it inside if it is a hollow item. Or you can also shred it and use it for padding around the item to keep it from moving around in the box. Making paper beads is pretty easy just takes some time. 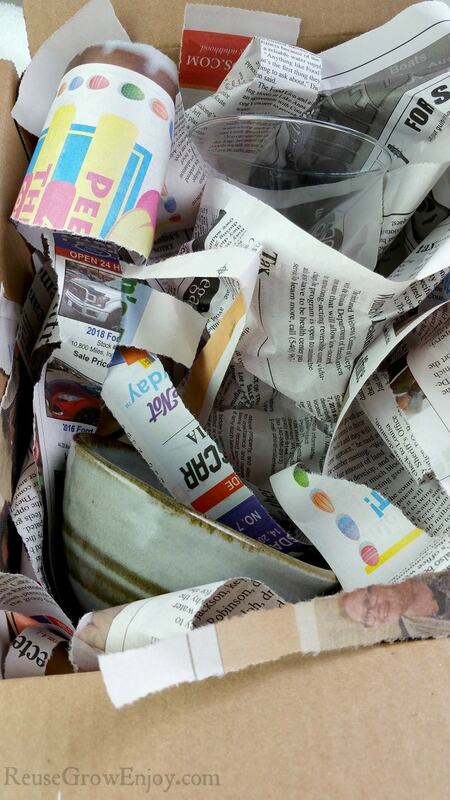 It is a great way to reuse junk mail, old magazines or to even use newspaper. The basics to making paper beads are to cut into strips and then wrap tightly around something like a toothpick, chopstick or something else that is small like that. Then when you get right to the end, put a dot of glue (kids glue stick will work) and allow to dry. The size and shape of the bead will depend on the size and shape of the paper strips you use. When dry you can slide it off of the stick. Some leave them as is and string them to make jewelry and earrings and other things. However, adding a layer or glaze or glue makes them last/hold up better. 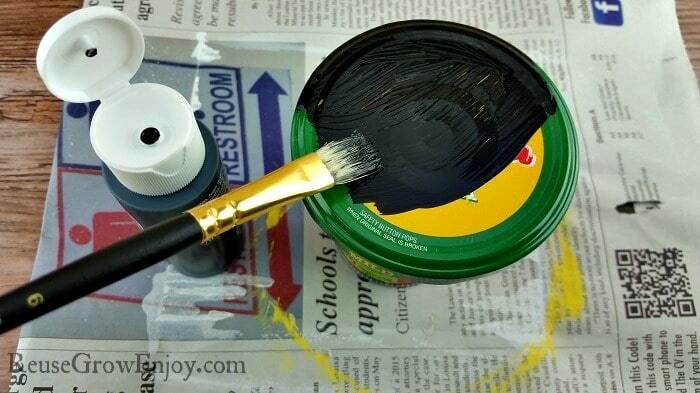 Simply dip in school glue or mod podge and coat the bead and allow to dry. It is best if you string them up to do this so they do not stick to anything when drying. Just like being able to plant the whole seed start newspaper pot, it is great for the soil and helps to build it up. At the end of the season, you can put a few layers of paper down, then cover with some garden waste or other compost, wet it down and then cover with dirt. Leave it all winter. Then in the spring, you can till the soil as normal. You may still see a few pieces of paper when tilling and that is ok. It will keep decomposing. 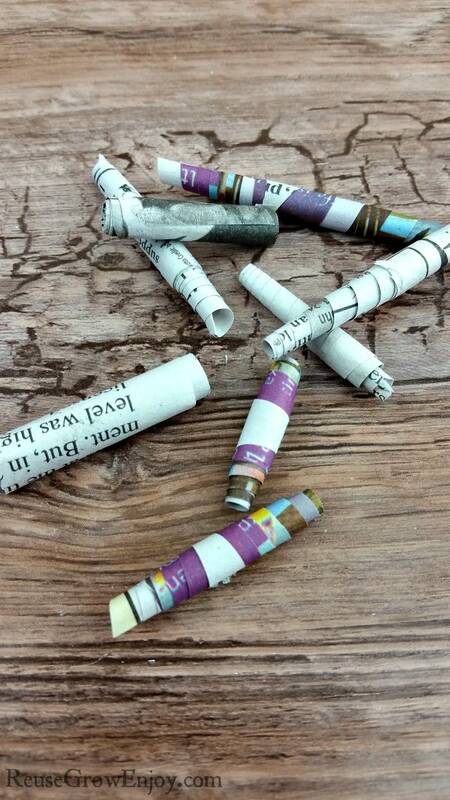 You can make some adorable little baskets from newspapers. Use as giving gifts, decorations or whatever you would normally use a little basket for. 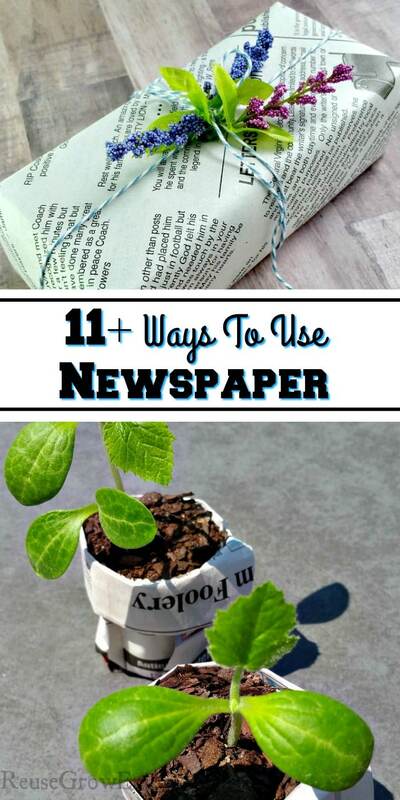 To use newspaper for baskets it can be done in a few ways. First would be to fold it into long strips. You want the strips to be pretty thick so make sure you fold it four or five times. Then weave into a basket shape like you would with any other weaving material. The other way is to roll the paper. You still want to make sure you do it several times so that it is thick and will hold up. If you need to make longer pieces, you can lay the sheets out before rolling or folding. Simply overlap them by about an inch before you fold or roll. That way you will have a few pieces joined together to form longer pieces. 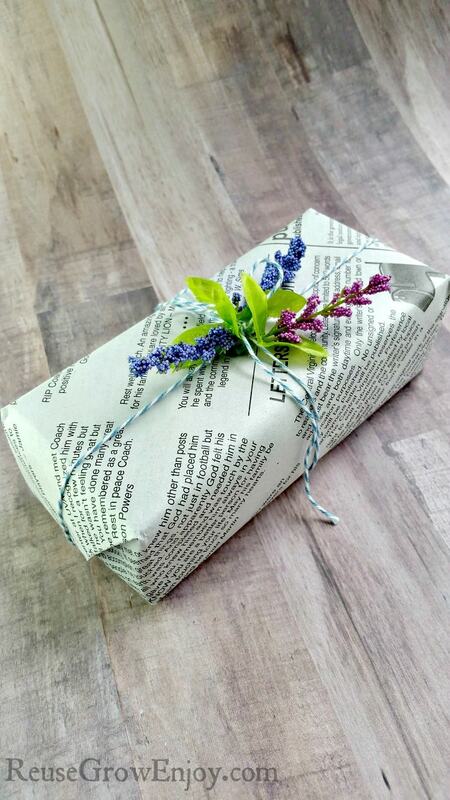 One of the easiest ways to reuse newspaper is to use it to wrap gifts. You would be shocked at how cute they can turn out when you get creative. Top with a little string, twin, ribbon or bow. You can also use other items like fresh greenery, and flowers (if it will be gifted soon) to add just a little extra special touch. I so hate paying for wrapping paper as it is ripped off and tossed in the trash in just minutes. There are many other things you can use for wrapping too, check out my post on Wrapping Paper Ideas – Reusing Trash To Wrap Gifts. No need to use paper towels to clean windows. 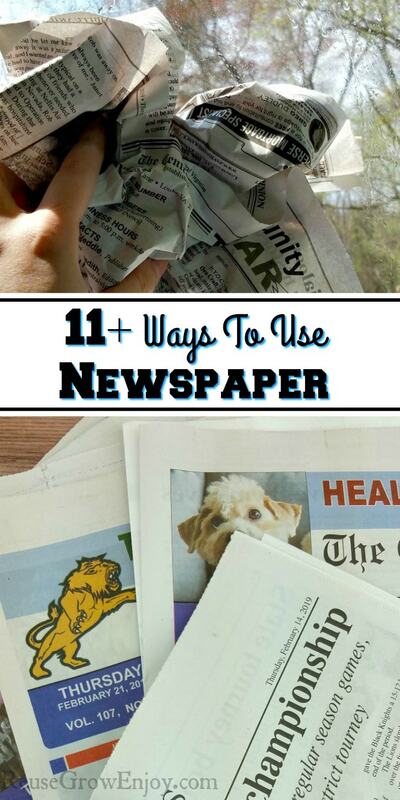 You can use newspaper to do just as good of a job! I like to clean mine using a spray bottle mixed with a little vinegar and water and then wipe down with newspaper. We would even use this to clean our car windows when we would visit the drive-in. Looking for more ways to reuse items? Be sure to check out my page on Ways To Reuse Everyday Items! It is loaded with ideas!